Today we are going to get into the nitty gritty details of hosting. I’m talking about ironing boards and Wifi. What are the amenities every listing simply must offer? But more than that, there are some “secret” or little used amenities that will definitely boost your guest satisfaction if you offer them. First, lets discuss a little about Amenity “theory” as I like to call it. What amenities should you have, and which should you think about adding? To begin with, it is really important that your amenity list is accurate. The last thing you want to do is promise an amenity, and then not deliver it. Next, you have to realize that for a subset of your visitors, a lot of times some items are make and break for them. I consider those “must have” amenities. Most often, these are things like wifi, TV, or even perhaps a hairdryer are sometimes big deals for certain types of travelers. If you list something that you don’t have, it could definitely lead to bad reviews. Things like parking are also a really big deal for a lot of people. But what if you have on street parking in front of your house, but not a driveway? What should you do? Do you count that as parking included? I wouldn’t recommend you click that parking is available in the amenities, as that could be misleading. What I would do is leave a note about what kind of parking you have and that is *may* be available, so guests know exactly what they are getting into. What about laundry? Does your building have a coin operated laundry center? Again this brings up a grey area, but in this case I would go ahead and check laundry, and explain what kind of laundry. The difference is in this case you definitely do offer laundry, its just a small extra fee that I think most people will understand. Wifi – this is a must have! TV and Cable – many people want this even if they won’t use it much. Plates, dishes, silverware, chopsticks, wine glasses, can / bottle opener, corkscrew. 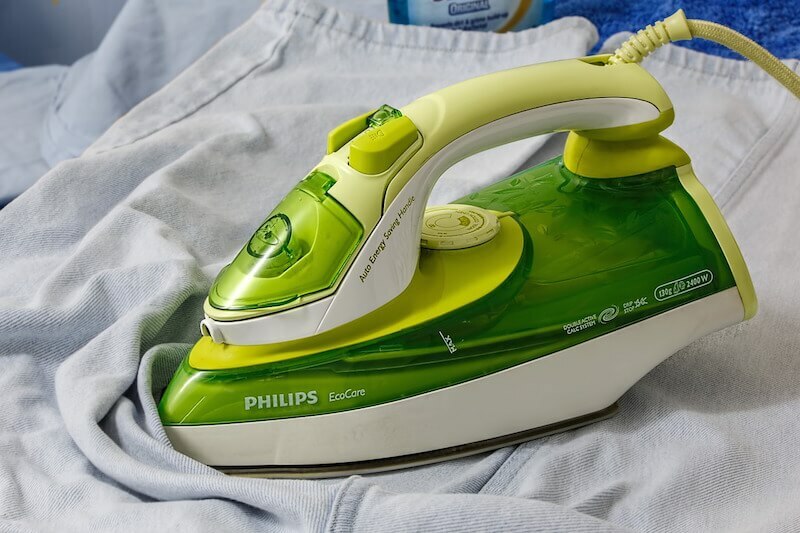 Iron and small ironing board. Essential to get wrinkles out of clothes packed in suitcases. Essential safety equipment like smoke / CO detector, fire extinguisher, and first aid kit are highly recommended! Airbnb may even send some of these things to you these for free, in certain cases. Alarm clock. You may use your phone for your alarm, but some people may not have it. Add an alarm clock to each bedroom and your travelers will appreciate it. Have a blow dryer, many women need this and don’t travel with it as its a bulky thing to pack. Extra blankets and pillows and sheets. Somewhere to hang clothes or wet things. A suitcase rack like in the hotels (you can get these for about $30 at most target stores). Have you ever come to visit your guests and it looks like their suitcases exploded on the ground? These will help people stay organized. And I hate bending over to reach stuff in my suticase on the ground, so this is a nice touch. Nightlights. People with families or older people may really appreciate this. Nightstands next to each bed. A lot of people like to put down a cup of water or have a lamp next to the bed for reading. Highly recommended. Paper towels are a really nice addition. Dishwasher soap if you have a dishwasher. Laundry detergent and dryer sheets. Some cleaning supplies on hand. Some guests (especially the good ones) will clean up after themselves as they go along. I have even had guests wash the sheets and towels for me, though that is rare! Leave a broom, dustpan, some windex, etc under the sink so guests who like a clan house can keep it that way. OK, now that we reviewed listings in general, lets take a look at the amenities that will really skyrocket you to the top! Now, what are some bonus items that you may not have thought of, that can make a guest stay extra special.Here are some things we recommend that you may have forgotten and in each case, guests have called out my inclusion of these amenities as the reason they were really happy with their stay and planning on coming back! This is a big one, and one that many people expect at a hotel, but are totally blown away by at a vacation rental. Its so simple too! I started out trying to find those little bottles of soap and shampoo but those end up being expensive and hard to restock. You know what is easier? This thing I found on amazon for about $15 (affiliate link opens in new tab on amazon.com). 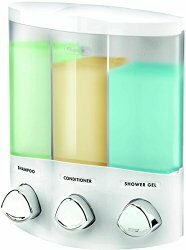 Its called a Euro Style soap and shampoo dispenser if you want to search on your own, and I mounted it the wall in my shower. I stock it with Body Soap, Shampoo, and Conditioner I got at Costco in bulk and it costs me next to nothing to keep it refilled. And guests love it! Again I guess I’m taking a page right out of the hotel playbook, but trust me this works. Especially living in Hawaii, including a little thing of Kona blend coffee is not all that expensive. Again, Costco to the rescue here. This all boils down to your target market, but living in Hawaii, I have learned that people like to make ice cold drinks or smoothies. Nothing like a Daiquiri or Chi Chi at the end of the day, and providing your guests a blender is a really nice touch. In fact, I have had two guests email me ahead of time and say that they were only interested in renting if I had a blender! I bought a nice one for $30, which lead directly to over $2000 of revenue. Not a bad return. Also, with a market that serves lots of guests from Asia, a rice cooker has also been a really nice plus. This has also been called out in my reviews a few times, so I even added it to my description! 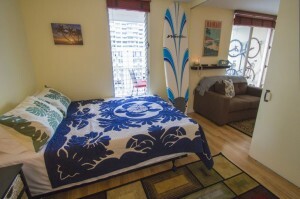 Learn all about how to write a killer AirBnB or VRBO description in our previous article here. Notice anything special in this photo? This last item is all about providing an Experiential Element to your listing. If you are able to help your guests have a unique experience that they can’t do elsewhere, then they will link that happy memory to your place and you are well on your way to 5 star status! Plus, if you can highlight these items in your photos, they will help book your place too! This may not work for everybody, but I think 90% of units can find something to fit in this category. Include a pair of bikes if you can (bikes from Walmart can be had for $100 each). Get a surfboard, boogie board if you are near the beach. Or get a kayak if you are near the river. What about for those landlocked or city folks? I still think there is something cool you can add here to bring your value above that of your competitors. How about a nice picnic basket that your guests could use for a picnic in central park? Or a bird watching book, book on local hikes or walking tours perhaps? There are really a lot of ideas that you can pack your apartment with to give your guests! BONUS #5 – The welcome gift surprise! OK I promised 4, but why is there 5? Because this one really is a bonus and will delight and surprise your guests! We will expand upon this strategy in a later article, but this is the #1 way to iron out any wrinkles and get guests to be understanding before a problem ever arises. Leave a welcome gift! Leave a 6 pack of coke and beer, or a bottle of wine, some bottled water, and a chocolate bar or two in the fridge as a welcome gift. Even better, try to think of something local that they would really enjoy. If its Hawaii, leave some chocolate covered macadamia nuts, for example. If its San Francisco, leave a bottle of Napa Valley Wine. Bonus reviews and 5 stars through the roof! And it can be done very cheaply if you shop in bulk. Does your insurance company allow you to provide a kayak or bike? Good question – I think you should confirm with them first! Get Our Book on Amazon! 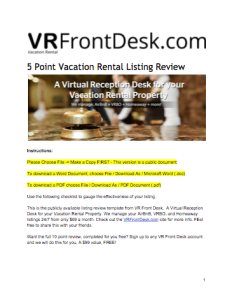 Download our 5 point Vacation Rental Listing Review Template now! VR Front Desk is now Your Front Desk! 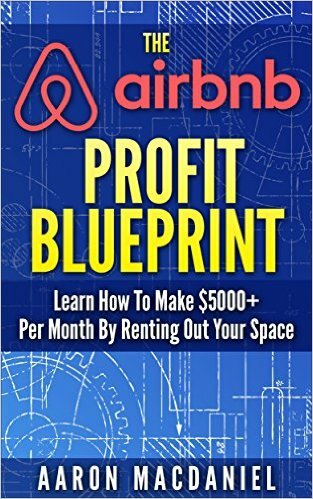 Is Airbnb screening out non Instant Book listings?